Addiction Rehabilitation at Windward Way Recovery Center > Alcohol Detox > Can You Die From Alcohol Withdrawal? 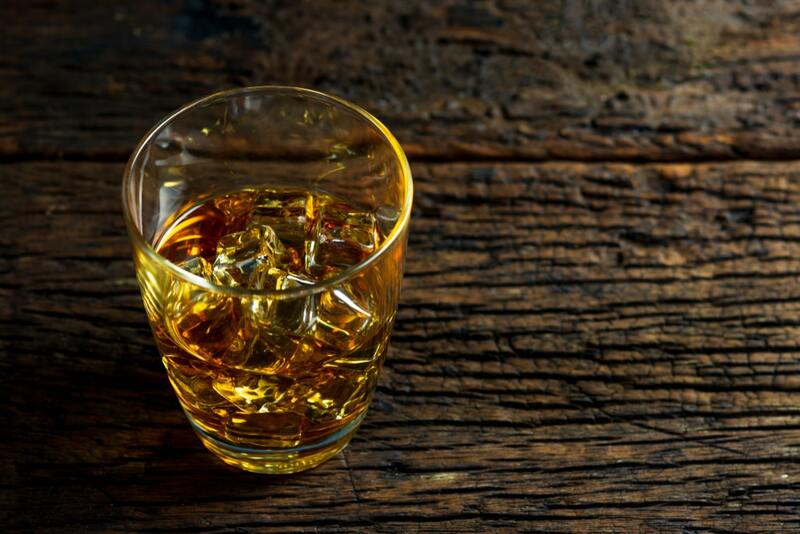 Alcohol Withdrawal: A Possible Cause of Death? Millions of Americans struggle with an alcohol abuse disorder. Alcohol abuse costs the US economy 249 billion dollars per year, and the human costs of alcohol abuse can be devastating. 88,000 people die in the US from alcohol-related accidents and deaths each year. Although alcohol abuse disorder is a devastating illness, there is help available. 6.7% of all adults with alcohol use disorder will receive treatment for alcohol addiction within a given year. But for those who struggle with alcohol dependence and addiction, is it possible to quit cold-turkey safely? What are the possible withdrawal symptoms from long-term alcohol abuse, and are those symptoms deadly? Let’s find out. What is the official definition of alcohol use disorder? Many people in the US safely consume alcohol and do not develop a dependence or addiction to alcohol. Studies indicate that 86% of US adults have had an alcoholic beverage at some point in their lives. But around 6% of all US adults will go on to develop a dependence and full-blown addiction to alcohol. More adult men than women struggle with alcohol addiction and abuse. There is not one definitive trigger that turns someone from a casual drinker into an alcoholic. Alcoholism, or alcohol use disorder (AUD), is a complex disease. A combination of genetics, temperament, outside influences and triggers can all make someone vulnerable to developing AUD. AUD is a pattern of alcohol use where the individual has issues controlling the amount they drink. They are preoccupied with drinking and continue to use alcohol despite any negative consequences that excessive drinking causes. People who have AUD will need to consume more significant amounts of alcohol to get the desired effect (tolerance). When they try to quit drinking altogether or limit their consumption, they will experience withdrawal symptoms that can vary in intensity and harshness. An AUD is suspected when the individual’s health and safety are put at risk because of drinking, or they experience other alcohol-related problems. Binge drinking can be a symptom of AUD, but not all binge drinkers are dependent on alcohol. For men, binge drinking is when someone consumes five or more drinks within two hours. For women, it is four drinks within two hours. When someone tries to quit an addictive substance, they will experience painful, severe withdrawal symptom. Withdrawal symptoms can be physical, mental, or emotional. In many cases, an individual will experience all three. The withdrawal timeline can also vary significantly from one individual to the next. Other factors can influence the intensity and duration of alcohol abuse withdrawal symptoms. How long a person has been addicted. If they abuse different substances, i.e., drugs and alcohol. How much alcohol they consumed when addicted. If they suffer from any other comorbid or mental health issues. During alcohol consumption, an enzyme secreted by the liver breaks down the alcohol, helping the body rid itself of the toxin. Alcohol that isn’t broken down and secreted is absorbed into other parts of the body such as the brain. Alcohol suppresses neurotransmitters in the brain that cause the individual to feel at ease and relaxed while intoxicated. Once the alcohol wears off, the neurotransmitters are no longer dulled. As as a result, withdrawal symptoms occur. What are alcohol withdrawal symptoms and how long do they last? Who is at risk of experiencing alcohol withdrawal symptoms? Symptoms vary from person to person, but anyone who has a history of alcohol dependence and abuse will experience some symptoms. Someone with a history of heavy, long-term drinking, or who has abused multiple substances in tandem with alcohol is more likely to experience painful, long-lasting, and potentially dangerous withdrawal symptoms. Can alcohol withdrawal symptoms kill? Tragically, yes. For at-risk persons, delirium tremens is a risk-factor during the alcohol withdrawal timeline. Delirium tremens is a deadly seizure disorder that can happen to people who’ve struggled with AUD for ten years or more and are heavy drinkers. Those who’ve experienced head injuries, infections or other illness at the time of withdrawal are at-risk for delirium tremens, too. Usually, delirium tremens occurs within the first several days after a person has had their last drink. However, it can happen as long as ten days after cessation. It is an unpredictable condition. Falls, seizures, and cardiac distress can cause serious complications and even kill. What help is available for people experiencing alcohol withdrawal symptoms? Because alcohol withdrawals can be painful and potentially dangerous, it’s crucial that people get help from experienced medical professionals. For alcohol abuse disorder treatment, medical detox centers and inpatient rehab facilities are especially helpful. Because dangerous seizure disorders are a risk factor for alcohol withdrawal, medical professionals in a detox and rehab center can safely monitor patients for these complications. Also, people need to seek treatment as soon as they experience withdrawal symptoms. Medical professionals can prescribe medications and help patients safely taper down from alcohol to lessen the severity of withdrawal symptoms. Anxiety medications and medications for comorbid mental health conditions can be prescribed to help alcohol withdrawal patients. In cases where delirium tremens is suspected, patients will need to stay in a hospital where they can be monitored and prescribed medications for seizure disorders. For people struggling with alcohol addiction, attending a medical detox center and a rehabilitation facility is a proven effective way for treating the complexities of drug and alcohol addiction.